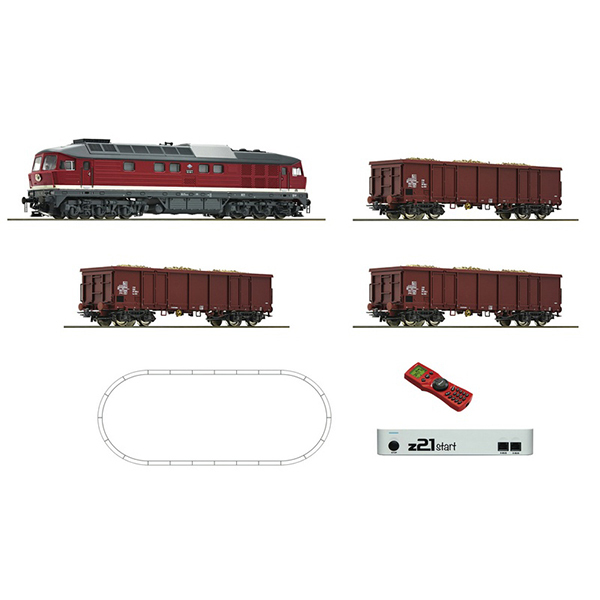 Model Description: 1 DR diesel locomotive class 132, 3 gondolas that carry Sugar Beets, 1 z21®start, 1 MULTIMAUS hand held controler, 1 plug-in power supply unit. Begin with z21 start and MULTIMAUS. Upgrading with a WiFi router and activation code, and thus use of smartphone, Tablet-PC, WiFi MULTIMAUS 10813 and computer (Software-protected model train control) is possible. If you already have your own WiFi router and you know how to work with WiFi networks, then the activation code 10818 is sufficient for the aforementioned upgrading.